As I and others have carefully documented, virtually all of the cults and religions of the world embrace various misconceptions of Jesus. Regardless of all of the differing viewpoints, biblical Christianity alone understands and accepts Him as Creator, Savior, and above all, God. Of the many variations of Jesus ascribed to by those in the religious world, none is more misleading and deceptive than the Jesus of Mormonism. From its inception, Mormonism claimed to be not just another Christian group but, like its distant cousin, Islam,  was actually formed to be the restoration and sole representative of true religion. The early Mormons didn’t seek alignment with Christian groups but rejected them all as apostate. Calling a Mormon a “Christian” during Joseph Smith’s time might have resulted in a street fight instead of a Bible study. Still, because the words “Jesus Christ” appear in the very name of the Church, over time many have wrongly assumed that both Mormons and Christians were referring to the same deity and thus must have much theology in common. It has been only in modern times that Mormon leaders have elected to exploit and use this misconception to their advantage. This is illustrated by the well-orchestrated, ongoing, public relations campaign presented by the LDS Church. Unlike Smith and his followers nearly 200 years ago, the new face of Mormonism now lauds the use of the term “Christian.” Contemporary Mormonism’s insistence that they are but a more enlightened yet mainstream Christian group, seeking acceptance into ministerial associations and the like, has obviously made way among theologically liberal and less-discerning groups and individuals. But I fear, lest by any means, as the serpent beguiled Eve through his subtlety, so your minds should be corrupted from the simplicity that is in Christ. For if he that cometh preacheth another Jesus, whom we have not preached, or if ye receive another spirit, which ye have not received, or another gospel, which ye have not accepted, ye might well bear with him (2 Corinthians 11:3-4). From its beginnings, Mormonism has embraced a “Jesus” with attributes not found in the Bible. It is helpful to remember that Mormonism accepts three other books as inspired and embraces the Bible “only as far as it is correctly translated.” In other words, instead of accepting the Bible as the standard by which to judge truth, Mormon documents - The Book of Mormon, Doctrine and Covenants, and The Pearl of Great Price - which are some 1800 years newer than the Bible and which have little contextual harmony with it, are the accepted texts with which to scrutinize the Bible. In fact, this is why Mormonism, from its very foundation, has been guided by a completely different set of theologies than that of the Bible. Regardless of this, Mormonism often quotes the Bible, giving the appearance that it is esteemed when in reality they are doing little more than paying lip service to God’s Word as a sort of spiritual window dressing, cloaking a completely different works-based religion just beneath its surface. The bottom line here is that, when the Bible disagrees with Mormonism, Mormons follow their three books and assume that the Bible is in error. I marvel that ye are so soon removed from him that called you into the grace of Christ unto another gospel: Which is not another; but there be some that trouble you, and would pervert the gospel of Christ. But though we, or an angel from heaven, preach any other gospel unto you than that which we have preached unto you, let him be accursed. As we said before, so say I now again, if any man preach any other gospel unto you than that ye have received, let him be accursed (Galatians 1:6-9). If indeed Joseph Smith actually had this experience or not, it surely fails the biblical test, as the authentic Jesus clearly instructs that “God is spirit, and his worshipers must worship in spirit and in truth” (John 4:24). The “grove experience” also places Smith in a very select group since he claims something that only the biblical Jesus has done: actually lay his eyes on God Almighty. The Bible’s Jesus teaches that "No man hath seen God at any time; the only begotten Son, which is in the bosom of the Father, he hath declared him" (John 1:18) and "Not that any man hath seen the Father, save he which is of God, he hath seen the Father" (John 6:46). This unorthodox, unbiblical idea of a God with a body correlated perfectly with what quickly became the central theological underpinning of Mormonism, which is polytheism. Capsulated in what is known as “The Law of Eternal Progression,” Smith’s First Vision introduces mankind to the concept that God the Father is a completely unique and separate being from Jesus Christ and, as Smith would later preach in his most famous sermon (the King Follett funeral sermon ), was once a man like us and is actually an exalted man. A few decades later (1938), as head of the LDS "Church Historian's Office," Joseph Fielding Smith released a compilation of Joseph Smith’s original teachings titled Teachings of the Prophet Joseph Smith. Joseph Fielding Smith, the son of Joseph F. Smith, the sixth president of the Mormon Church, was the great-nephew of the original Joseph Smith. Joseph Fielding Smith went on to become the tenth president of the Church in 1970 and held that office until his death in 1972. In Teachings of the Prophet Joseph Smith, Joseph Fielding Smith reiterated Joseph Smith’s original doctrine, “God himself was once as we are now, and is an exalted man …” (p. 345), and instructed that “… You have got to learn how to be Gods yourselves, and to be kings and priests to God, the same as all Gods have done before you …” (p. 348). This book is still readily available today through the Deseret Book Company, the official publishing arm of the Mormon Church. In case you think for a moment that the modern Mormon Church has now somehow abandoned this teaching, please take the opportunity to watch how immediately and emphatically the aforementioned LDS Manager of Outreach and Interfaith Relations for Church Public Affairs, Robert Millet, affirms these tenets, the central theme of Mormonism. This revealing video clip can be found at: http://video.google.com/videoplay?docid=-578056759608075303#. Remember, Millet is the man who has been in charge of the LDS outreach attempting to convince Christians that Mormons are Christians, too – a charge that Joseph Smith would have vehemently rejected. Along those lines, it is also worth noting that, during the “First Vision” in the grove, God Almighty and Jesus allegedly told Smith that all churches and their professors were "corrupt,”  and "all their creeds were an abomination in his sight." Smith claimed later that he was told by the two beings not to join any of the churches in his day but that the "fullness (sic) of the gospel" would be known to him at a later time. And it came to pass that he said unto me: Look, and behold that great and abominable church, which is the mother of abominations, whose founder is the devil. And he said unto me: Behold there are save two churches only; the one is the church of the Lamb of God, and the other is the church of the devil; wherefore, whoso belongeth not to the church of the Lamb of God belongeth to that great church, which is the mother of abominations; and she is the whore of all the earth (The Book of Mormon, I Nephi 14:9-10). So we’ve established that, besides having an unsubstantiated vision, Joseph Smith conveniently claimed that God has been a mere mortal and that we humans can become Gods ourselves. He then claimed exclusivity by reporting that God told him that every individual Christian, pastor, and church in his day were deceived and deluded. And that’s just for starters. Perhaps the most important difference, and the one that will make the most impact on the unaware, is the distinction between Mormonism’s Jesus and the real Jesus of the Bible. Who is The Mormon Jesus? “The appointment of Jesus to be the Savior of the world was contested by one of the other sons of God. He was called Lucifer, son of the morning. Haughty, ambitious, and covetous of power and glory, this spirit-brother of Jesus desperately tried to become the Savior of mankind” (Milton R. Hunter, The Gospel Through the Ages, p. 15). Milton R. Hunter, Ph.D., understood Mormon doctrine. He served as a member of the LDS Church's First Council of the Seventy from 1945 until his death in 1975. He attended Brigham Young High School and received both bachelor’s and master's degrees from Brigham Young University. Hunter wrote 23 books and spent 17 years as a seminary teacher at the Institute of Religion in Utah. He later taught LDS seminary courses while living in Provo, Utah. 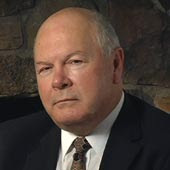 LDS historians have been critical of Hunter's work due to his avoidance of material detrimental to the reputation of the LDS church. No one can say that Hunter’s account of the Mormon Jesus cited here from The Gospel Through the Ages is slanted or anti-LDS. This quote just represents the simple fact that the Mormon version of Jesus certainly does not match the identity of the Jesus found in the pages of the New Testament. The most emphatic statement concerning the identity of the Mormon Jesus doesn’t come from an Evangelical source but rather from Mormon president, Gordon B. Hinckley. Speaking to a gathering of 6,600 Mormon missionaries in Paris, the LDS Church News Archives reported on Saturday, June 20, 1998, that Hinckley does not believe in the traditional, biblical Jesus. Can it be any clearer than that? Just a few years ago, the “prophet, seer, and revelator” for all of Mormonism stated that the traditional Christ is not the Mormon Christ. In stating so, he also reiterated that the Mormon Church alone is the only true Church today. About the Mormon Jesus, let the record show that Hinckley and I agree! Regardless of how smoothly it’s phrased by Mormons and their allies, the Jesus of Mormonism remains but one of many gods within the pantheon of Mormonism, and Mormonism remains staunchly outside of orthodox Christianity. Mormonism’s Jesus is not now, never has been, and never could be the Jesus Christ of the Bible. From what I have observed, I believe that the reason that the LDS Church has been, and is continuing to present itself as “Christian” is this: membership. It’s all about wooing the unsuspecting. Unknowledgeable folks from both the secular culture and a variety of churches are targets of the newly “Christianized” Mormonism. Don’t miss this. Presenting itself as Christian isn’t about the Mormon Church reforming and becoming biblically sound. It is all about numbers, power, and revenue, and it’s all predicated on spiritual deception. Each day, twosomes of clean-cut Mormon kids traverse our neighborhoods, knocking on doors to promulgate a false religion that claims to be Christianity. Considering this fact, shouldn’t we Bible-believers understand the redefinition of terms and the doublespeak we’ll face at the doorstep? Isn’t it our responsibility to look past their misguided sincerity and knowledgeably discern the bogus nature of the Jesus they present and then initiate effective dialog with them? Shouldn’t we also warn our friends and families, as well as those who live around us, that not just any Jesus will do? When it’s all said and done, is just believing in “a” Jesus enough? No. A person can sincerely and completely believe in “a” Jesus, but, if one has placed his or her trust in a counterfeit Jesus, can that Jesus forgive and save you? The answer again is emphatically NO. If sincerity were all that mattered, most Mormons would score high marks. But sincerity doesn’t save anyone. The only thing that can save a person from a horrible, godless eternity is placing one’s faith and trust firmly in the Jesus of the New Testament, who 2000 years ago shed His blood on the Cross for our sins. If you have trusted in a false Jesus, the only course is to reject the counterfeit and simply embrace the authentic. It is my prayer that you’ll do that and do it today.